Below are some excellent recipes that I wholeheartedly recommend, and below the recipes are links for top-tier sandwich making tools and gear. I regularly use many of these tools on a daily basis and have not been influenced in any way by the manufacturers to endorse these products. Below is some of the sandwich making equipment I use that is superior to the average kitchen utensil. Don't let fancy gear get in the way of making sandwiches, but do be aware that there exist certain tools that are extremely satisfying to use. 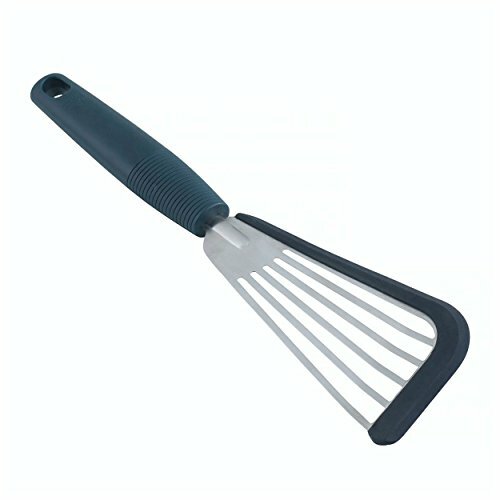 The Kuhn Rikon Slotted Spatula is my favorite sandwich spatula. It's a fish spatula, which means it has long thin metal bars that form "slots" for juices to drip past, The edges are tipped with heat proof silicone, which prevents scraping on your pan, though I primarily use hard anodized cookware to be scratch resistant. Using the Kuhn Rikon feels more like cooking with a especially large fork and is overall more satisfying for making grilled cheese sandwiches. I originally sought out a spatula like this after I observed an uncle of mine cooking kielbasa sausage in a pan using a fork. I was certain that it would scratch the pan, but I was envious of the dexterity and level of control granted and I found my substitute in this spatula. This is a giant, thick bamboo cutting board that has inserts for bowls. If you use high quality knives like Shun, ceramic knifes, or any type of sushi knife, using bamboo will keep your blades sharper for much longer. The removable bowls are a very nice feature that get more use than you would expect. When you buy a giant, heavy cutting board, you lose the ability to easily pick up the cutting board and hold it over a pan, but having these bowls removes much of the need to do so. You certainly can use your own bowls, and get a slightly different cutting board, but I like that this board is imbued with multiple purposes. Totally Bamboo 3-Bowl Butcher Block Prep Board, 16.5" x 22"
For making grilled sandwiches, quesadillas (which are also a form of sandwich), or crepes, there is no substitute for a high quality crepe pan. The lack of edges means that you can easily flip your sandwiches without ingredients spilling out the sides. 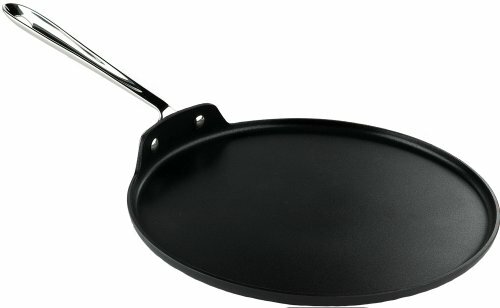 The edges on this pan are high enough to cook eggs, which is the primary worry that people have when switching to an almost edgeless pan. The material is a hard-anodized aluminum, which makes it exceedingly difficult to scratch and also provides a non-stick surface. Many people consider the use of non-stick cookware to be sacrilegious, but they are wrong, particularly when it comes to sandwiches. Certain types of grilled cheeses, especially when the cheese is on the outside of the pan, are very difficult to cook without a nonstick pan such as this. Sandwiches by and large use bread, and serrated knives are simply more effective at cutting bread than non-serrated. At many sandwich making establishments, notably Subway, sandwich artists will use a 6-inch utility knife for a wide variety of tasks. This length seems to be ideal for the final slicing in half of a sandwich, while also allowing for easy condiment spreading and ingredient cutting. Apparently there was an overproduction of this style of the Ken Onion Utility Knife, as the normal version can cost upwards of $70, but this one can be found for less than $40. 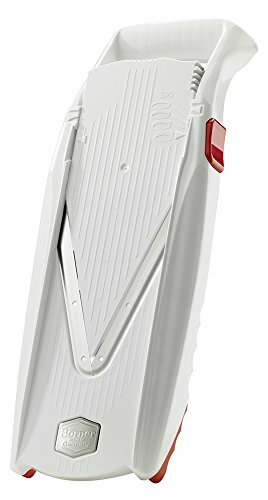 If you don't mind unusual patterns which have no impact on your sandwich making, this is a great utility knife. Kyocera has been making high quality ceramic knives for an extremely long time and their versions are definitely among the best available. 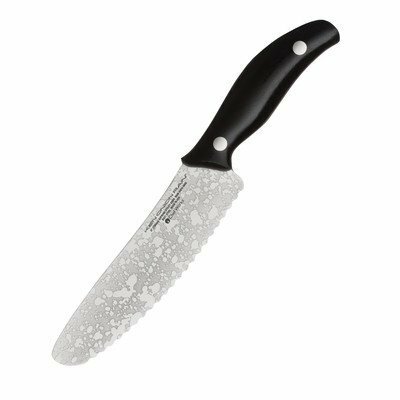 While a serrated knife is definitely a must have for cutting bread, many ingredients such as cucumbers, tomatoes, apples, and hard-boiled eggs require a very sharp non-serrated blade. The Kyocera was selected because it requires shockingly little care, is extremely easy to clean, and will not flavor an extremely thin slice of anything as the ceramic is nonreactive with acidic ingredients. This last bit is a minor quibble, but is reasonably well documented. This is a good toaster for sure. It has very accurate quartz heating elements, it can easily fit 4 pieces of bread, the interior is non-stick so it can be cleaned easily, and it has a crumb catching tray. 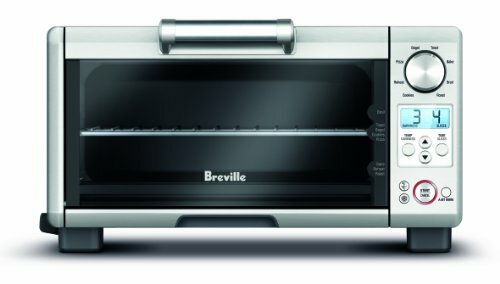 It has special settings that actually change the cooking style depending on whether you are making toast or cooking a bagel, and it toasts extremely quickly. It also has a quirky "A Bit More" button that just adds a couple extra seconds of toasting if something isn't quite done. Mostly this can melt cheese between bread while toasting extremely well, which is the primary reason I recommend it. Admittedly, this is a bit of a novelty item for sure, but a panini just don't taste the same without the blackened grill lines on the bread. 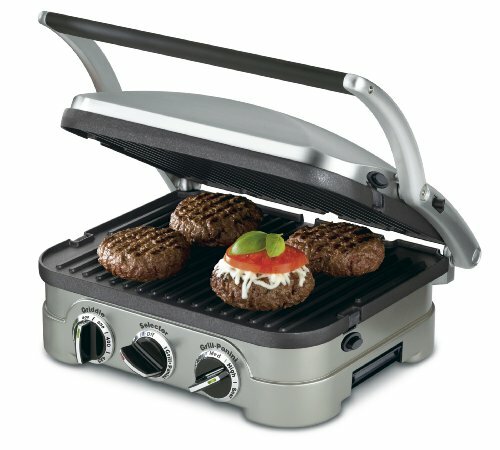 This press has interchangeable plates, so you can press things without grill marks, but I honestly don't know why you wouldn't just use a normal pan for that. The grill plates are anodized and non-stick which make them very easy to clean, and the heating element is reasonably reliable. The cover is "floating" so you can adjust its height based on how tall your panini is, which is an extremely useful feature. This is an item that is only necessary due to my own incompetence as a chef. I have admitted this and now I will extol the virtues of this wonderful single use kitchen item. Essentially, there are two major mistakes that people make when cooking hamburgers. 1. They touch the meat too much. 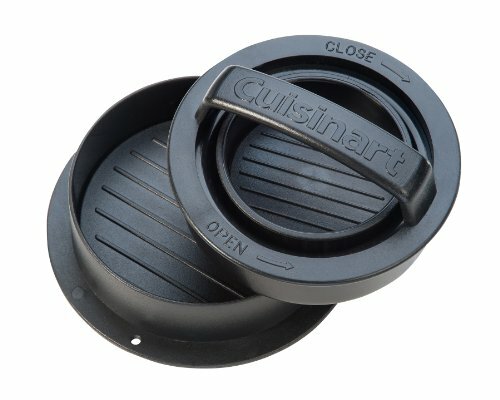 This little tool allows you to form an extremely consistent burger size, with clean edges that won't break apart while cooking. This is especially useful if you are making double cheeseburgers, as both patties will be more or less identical. A mandolin is necessary if you are buying lots of different types of meats that haven't been sliced for you. This is a very small mandolin, but it is very highly reviewed and extremely sharp. If you are going to make anything with multiple types of sliced sausage or salami such as an grinder or a hoagie, this little tool is invaluable. It is also of particular value if you are unskilled at slicing vegetables thinly, as it has an adjustable feature to control the thickness of your slices.